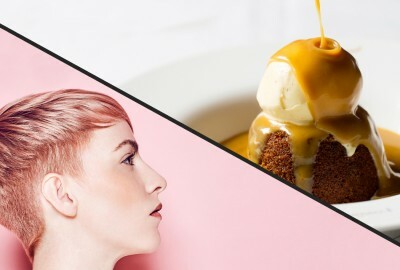 Enjoy a brilliant day out in Chelsea with this unique experience featuring a blow-dry and treatment at Lockonego and a three-course meal with a cocktail for two at London Steakhouse Co - Chelsea. Lockonego have been creating beautiful hair for over 12 years and are firmly established as a South West London favourite. This voucher includes a blow-dry and treatment by the masterful team at Lockonego. As part of this sensational experience, you’ll also be welcomed into our award-winning Chelsea restaurant for a delicious three-course meal with a cocktail each. Sit back and relax as you peruse the mouth-watering set menu, available for lunch or dinner, featuring a selection of tasty appetisers, high-quality steaks, roast meats, fish, and timeless puddings. It’s up to you to choose whether you have your blow-dry and treatment before or after your meal. When you call our reservation team, we will book your visit to Lockonego and your meal at the London Steakhouse Co at the same time. You can add an extra blow-dry & treatment appointment for just £40 after purchasing this voucher. The London Steakhouse Co - Chelsea dining experience is for two people to dine from a 3 course set menu. There are at least four options at each course. An 8oz House cut steak is included in the price as one of the main courses - other cuts are available at a supplement. Side orders are not included and may be required with steaks although there are always at least two options that do not require a side order. Our Chelsea restaurant is just a few shops down from us along the King's Road. We operate a 48 Hour Cancellation policy on our dining experiences. Experiences cancelled within 48 hours of the reserved time may not be used again. We can't wait to have you dine with us again or share our experience with your friends - you make our day so let us make your's too!